Hi, I want to take this opportunity to introduce myself and express my excitement about working with your child this year. My name is Latasha Marshall and I am honored to be your child's 8th grade Math teacher this year. I was born and raised here in Paris and I am married with 2 children, Elayah(19) and Tekiyah(14). 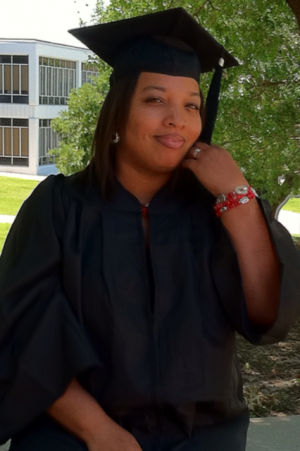 I am a 1999 graduate of Paris High School, a 2010 graduate of Paris Jr. College (where I received an Associates of Arts in Teaching), a 2011 graduate of Texas A&M University (where I received a Bachelor's degree in Interdisplinary Studies, with a specialization in 4-8 Mathematics), a 2016 graduate of Texas A&M University (where I received a Masters degree in Curriculum and Instruction) and a 2018 graduate of Texas A&M University (where I received a Masters degree in Educational Leadership and Administration) . Lastly, my love for teaching goes beyond my core content of Math, I truely care deeply about each of my students and I know how important it is, for me, to show them how great of a deal math plays in their everyday life and in their future. I hope to be the teacher that positively impacts your childs thought and feelings about Math.